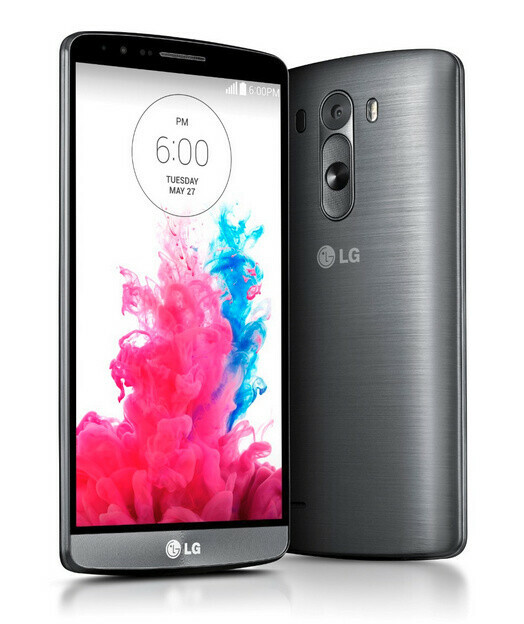 The LG G3 is the first smartphone (outside of China, that is) to arrive with a Quad HD display with the whopping resolution of 1440 x 2560-pixels, but what does this new resolution really mean? It’s a step up over the current crop of 1080p smartphones like the Samsung Galaxy S5 and the HTC One (M8), of course, but to illustrate clearly what Quad HD means in terms of pixel count, we compare it to the most common resolutions starting with the 320 x 480-pixel display of the original iPhone from back in 2007, and going to the latest 4K Ultra HD television sets. The picture above shows how much more information can a Quad HD display fit in (in black), and how it compares to the much tinier rectangles of 1080p, 720p, and earlier resolutions. The above comparison is true if pixel size was identical on all those various resolutions - in reality, though, screen sizes differ and you simply get a more condensed picture with a different size for the pixels. Notice the huge contrast between the smallest of rectangles - that smaller rectangle represents the 320 x 480-pixel resolution, something that we considered a high number just seven years ago when the original iPhone launched. Another metric that puts things in very clear perspective is pixel count. A Quad HD display has 3.69 million pixels, a whopping 78% more than the 2.07 million in a 1080p screen, and four times as much as in a 720p display. How does this look in real life? Well, as good as it all sounds on paper, the difference seems to be perceptible only from up-close, and if you're looking at your phone from a regular distance of around 10 inches it would be hard to see much of a difference. Where the LG G3 claims to have made even more substancial advances, though, is in its full 100% sRGB coverage. We can only hope the screen is calibrated well, and if so, LG would have every reason to claim it has one of the best displays out there. So, can someone explain to me why this phone is taking cred for this screen if other phones "inside of china" had this before this phone.......? I guess because this phone is going to be available everywhere not just in china. So it's easier to get a hold of this phone and make a review. This is the first quad HD "outside of china" and it only makes sense to cover it now since we "outside of china" can now experience it without any hassle. I'm pretty sure "inside of china" sites already gave those phones credit. If I made the first lightbulb and everyone knew about it, but I didn't release it to the world, I wouldn't get credit for it? The only person getting credit for it would be the person that makes my tech available to the world? Oh you will get credit for it, but you won't be as popular since you can't distribute it to the world. Since the display of the LG G3 is made by LG Display, and since the world is larger than just China. Why? You mad Apple didn't do it first? And don't even bother to mention their Retina display. It's a gimmick like Beats Audio. You seem frustrated at two things: Sauce, and Apple. Guess we all know what makes your veins pop now! Applesauce! Whysomad? "A Quad HD display has 3.69 million pixels, a whopping 78% more than the 2.07 million in a 1080p screen, and nearly four times as much as in a 720p display." Nearly four times as many? It's exactly four times as many, hence the term, QUAD HD. Absolutely, I've corrected this, thanks! You need not worry Victor..I see thousands of trolls everyday on the internet. English and math are different, brown noser. Every OEM should drop 800x480 now. Its just too low. Just like you don't see any new smartphones being made now with a 480x320 display. What's the relevance? This phone came out 2 years ago. Carol Anne - listen to me. Do NOT go into the light. Stop where you are. Turn away from it. Don't even look at it!